As the rest of the League Steve went to Bretton Hall College in Leeds. His TV appearances includes "Auntie's Inferno", a pilot for a BBC Sitcom. 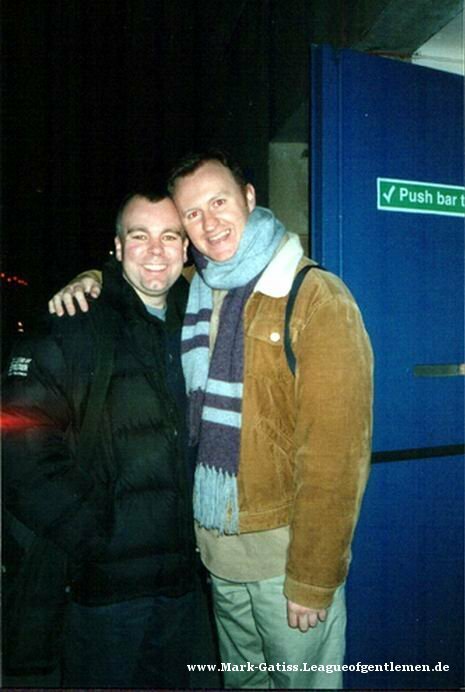 He also played in "Damage Your Children" at the Edinburgh Festival and "Death Warmed Up" at the London Canal Cafe as well as in "The Honeymoon Period" (with Reece Shearsmith) and "Done To Death" (with Mark Gatiss). As a founder member of the 606 Theatre he produced and starred in "Pantagleize" and "The Honest Whore" and was the assistent director on "The Beggars New Clothes" at the Cockpit Theatre. 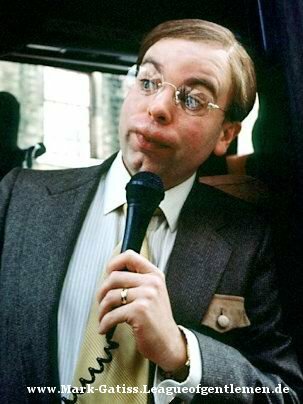 He also had parts in "Gormenghast", "Randall & Hopkirk", "Smith and Jones", "Friday Night Amistrice", "Lenny goes to Town" and "In the Red" as well as minor roles in "Bithday Girl", "Alice in Russialand" and "This Year's Love"
* Thanks a lot Tracy for this information. 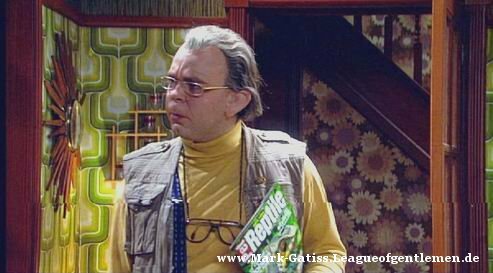 Steve Pemberton (nick Pemby) was born on September, 1 st 1967 in Blackburn, Lancashire as Steven Pemberton. Since 2002 he's got a son named Lucas. 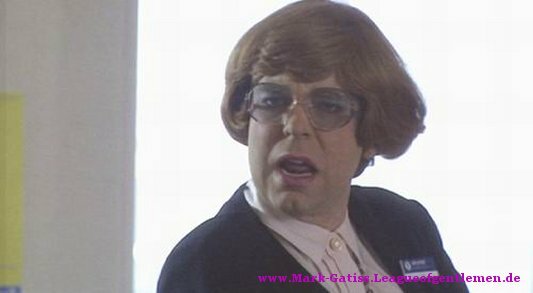 He writes the German parts on League of Gentlemen and was very pleased with someone from Germany coming over. He had heard about the fact, that two series of LoG were broadcast on German telly in a dubbed version. Steve was very kind and likes to talk to his fans. I will remember that for a rather long time.